Everything you should buy now so you can say “I told you so” later. “I am dead! Deceased. In the ground. Literally.” This is the way millenials talk in texts and in Instagram comments, when they are overwhelmed or excited or they “just cannot” with something. Ironically, it’s the language (not word for word, but the gist) some of the most powerful figures in fashion are using to discuss fashion. 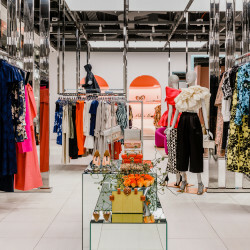 They’re lamenting how quickly it’s changing and are more than ready to pronounce a lot of its aspects dead: magazines, NYFW, runway shows, street style, bloggers, trends. And yes, social media may have led to a lot of copycats and homogeneity amongst brands who don’t even know the history of the industry they’re working in—but on the other hand, it’s given a platform to exciting new designers who have an eye unlike anyone else and a desire to work their way from the ground up. Here’s a list of 14 of those brands, some of which you’ve probably heard of and some of which you probably haven’t. There are names that have been floating around the pages of Vogue and others that have amassed thousands of likes on Instagram. Some are on the fashion calendar, others haven’t even had a presentation or show. Some have actually been around for a decade, and one of them just launched last week. But the one thing they all have in common is the chance they’ll be talked about this year, and if you want to get ahead, just read on. If you’ve recently started wearing or lusting after zip-through dark-wash denim jeans or pink corduroy pants, you should blame Lauren Rodriguez and Michael Freels of LOROD. The line they started in 2016 is a modern take on American classics. Every piece they make—from bowling shirts to cropped jackets—look like the most well-made workwear classics you’ve always wanted to stumble across in a thrift store. I have a hard time talking about this brand without referencing the Paper magazine cover Rihanna was on a couple months ago. It feels like one of those fashion moments that truly broke the internet, because even people who didn’t know Paper saw the photos, and in them Rihanna is wearing a pair of bedazzled structural hoops by Area. The brand created by Beckett Fogg and Piotrek Panszczyk has already been picked up by Barneys, worn by every big celeb (Rihanna, Bella, Kim) for editorials and street style alike, and is creating some of the most magical pieces in fashion right now—which is most likely a result of Fogg and Panszczyk’s obsession with otherworldly texture and fabric. It’s taken a bit of time for people in the U.S. to catch on to Maggie Marilyn, who comes from New Zealand—a bit farther east than most look when it comes to clothes. Marilyn started designing right out of school and was picked up by Net-a-Porter before expanding to 75 other stores internationally. Her pieces, which have been defined by playful ruffles, bold stripes, and loud colors, range in price from $100 to $700. Marilyn’s goal to create “livable luxury” and her pieces are absolutely street-style-worthy—with a price that actually feels attainable. 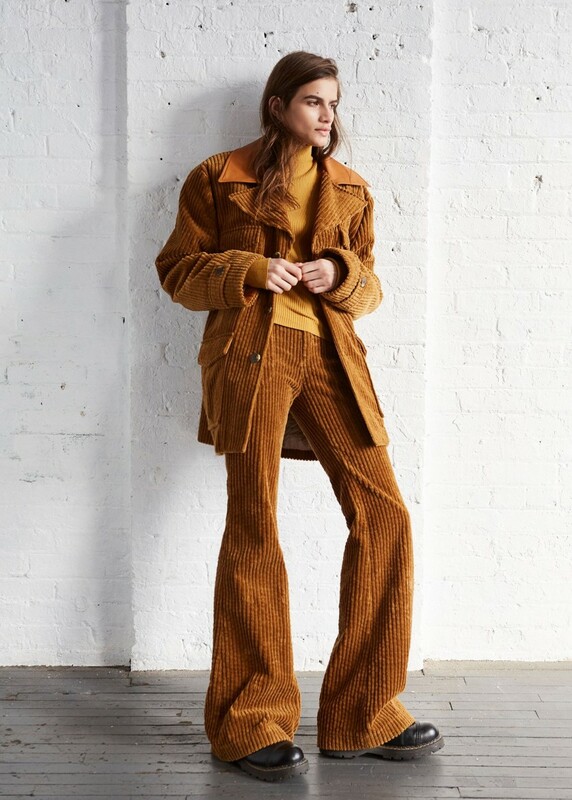 This newly launched brand creates nostalgic 70s jumpsuits and flares that seem handpicked from a vintage photo. 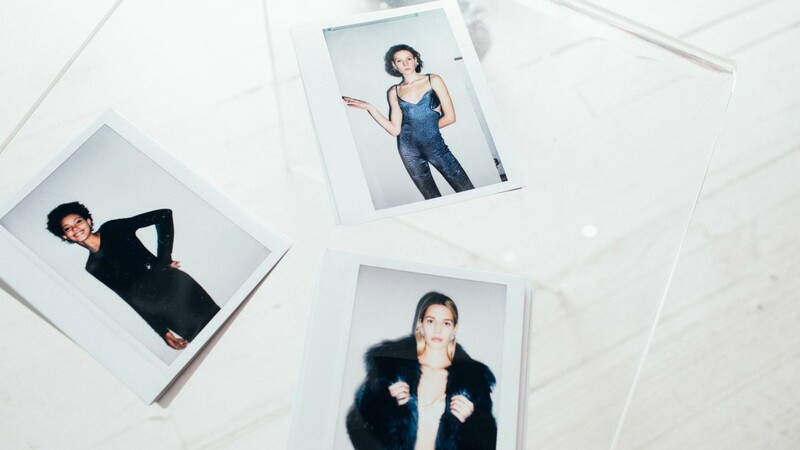 Denim jumpsuits? Check! Silky cowboy tops? Check! Fans like Dilone, Kate Bosworth and Jaime King? Also check! It’s glam rock aesthetic is enough to replicate the thrill of riding a motorcycle or sneaking backstage at a Rock n’ Roll show. And the looks are really good with a particularly amazing corduroy suit jacket called ‘Daddy’ that you should probably go out and buy before everybody else does. Kim Shui’s SS18 NYFW presentation had a line out the door that continued for blocks before the doors were even open. She debuted her collection at VFiles in 2016 and immediately had Kylie Jenner and Solange wearing her all-lace jumpsuit. Shui’s collection is all about walking the line between good and bad taste, with a mix and clash of colors, patterns, and fabrics that could easily look haphazard if it wasn’t for all that thought that Shui puts into her designs. A recent Vogue profile on Shui may describe her appeal best (“Kim Shui Delivers Conceptual Cool for the Kylie Jenner, Cardi B Crowd”), and if her clothing can mimic Cardi B’s meteoric rise? Well, then 2018 will be the year of Kim Shui. By April of 2017 everyone had seen the brand name Orseund Iris, although not many knew how to pronounce it (OAR- sünd - EYE – riss), who it was started by (24-year-old designer Alana Johnson), or where it came from (seemingly out of nowhere, with a beloved off-the-shoulder knit with exposed bra cup details—you know the one). Johnson has been careful in curating her vision–a Google search of her name will not bring up many results or interviews, and everything she makes is still designed out of her space in Williamsburg and is carried exclusively on her website. 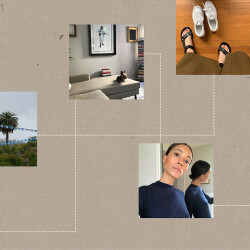 But with all of Instagram waiting to double-tap on everything she posts (most recently, Bella has worn her Chunky Knit, and Emily Weiss, her workwear jumpsuit), you’re bound to see much more of Orseund Iris everywhere. The fact that footwear designer Nicole Saldana quickly went from FIT grad to working retail at Opening Ceremony to working on the design team at the request of Humberto Leon and Carol Lim, where she helped relaunch Kenzo, should all be enough to assure you that she is really, really cool and knows exactly what she’s doing. Last August she broke out on her own and launched a namesake line of loafers, clogs, and boots ranging in price from $310 - $650. Her current offering on the site features a limited set of shoes in lime and pale pink, embossed snakeskin, and studded flower studs. Seeing a pair in person will induce envious vibes unintentionally and immediately—so buy yourself some now and spare yourself the pain. Like Saldana, designer Alexia Elkaim has a background in fashion that makes her success seem like a given—she interned at CR and V magazines before launching her line of denim pants with removable hardware belts that promised to flatter girls of all sizes. There is no way you haven’t seen a celebrity or model in them (Bella Hadid, Paloma Elsesser, Lady Gaga, Emily Ratajkowski, the list goes on and on…) and wanted to buy every pair created (from the classic tommy pinstripe to the more recent morgan yellow plaid). Last fashion week she expanded her offerings past jeans, and I cannot wait to see Elkaim’s further foray into RTW...and to empty out my bank account to buy all of it. This eyewear brand is the physical incarnation of the heart-eyed emoji. It’s like the pair of playful sunglasses you loved in middle school combined with the cat-eye feel that everyone loved (and still loves) about Adam Selman’s collaboration with Le Specs. They make for a great instagram and are playful enough to trick your face into thinking it’s on vacation. Get a pair now to avoid having your favorite pair sell out—the sun is bound to come out soon enough. Remember that white corset mini dress Kendall Jenner wore this past summer, or that Seven Hells t-shirt Selena Gomez wore backstage at the VMAs? That was indie Australian brand DAISY, which creates ethereal pieces that feel like wearable lingerie. They’ve been worn by everyone from Bella Hadid to Petra Collins and surprisingly mostly in casual settings. Here’s to revealing more in 2018. Nanushka hails from Budapest and was actually founded in 2005. Although it isn’t necessarily a new or emerging brand, it’s recently gotten much more attention in the States. This is probably due to its viral Hide puffer jacket, which looks like a chic traveling sleeping bag and is being worn by all of fashion’s favorite style stars this winter. Expect to see a lot more of them all over street style (especially in the coming weeks) because of their great price point ($100 - $700) and Hungarian aesthetic that’s beloved by French girls. If you follow Eva Chen (and if you don’t, what are you doing? ), you’ve absolutely seen Pamplemousse, one of the emerging New York brands she’s often wearing in her #ootds. A lot of the fashion set has taken note, and Pamplemousse’s Venus Dress was all over street style last spring. Designer Danica Zheng is planning on focusing more on outerwear and dresses (which are undoubtedly her strength) for the next season—and if you want to be the first seen in the next big street style hit, you should keep your eyes peeled. 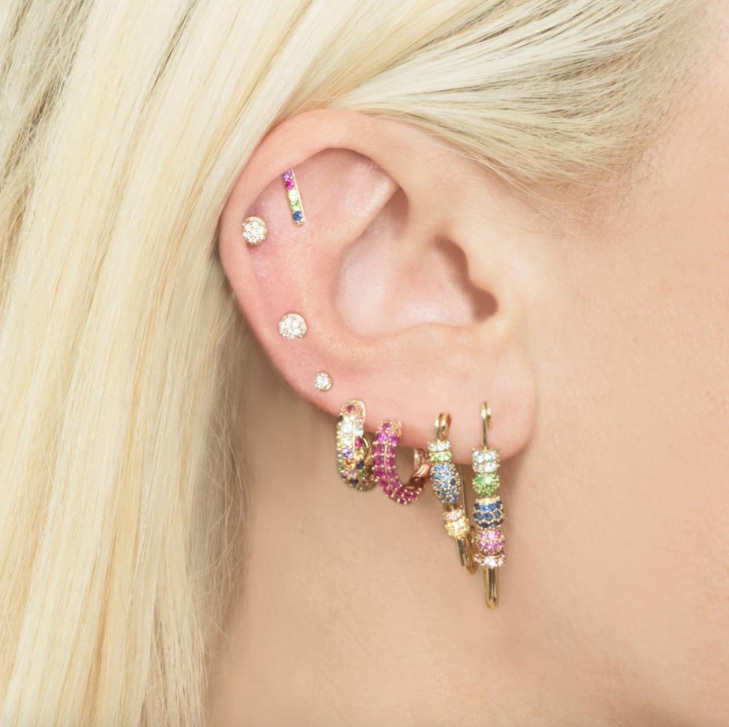 With the recent shift away from minimalism, no body part is off-limits—especially your earlobes. More is more is more for as far as the eye can see. 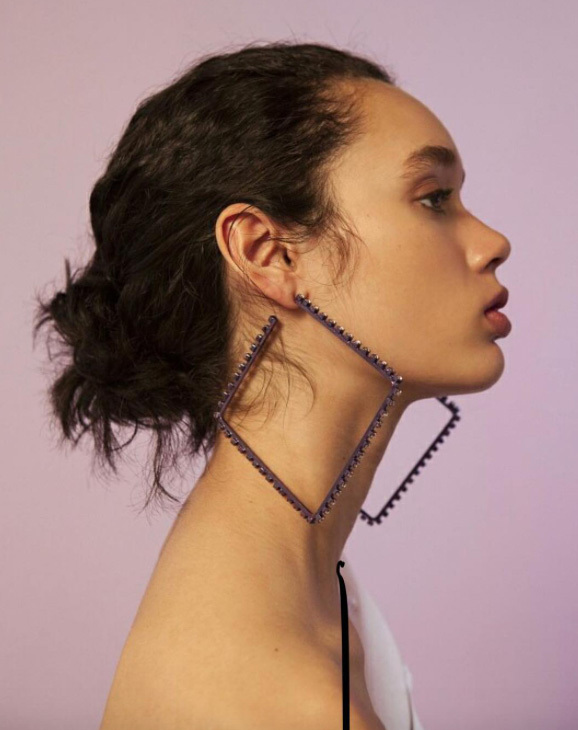 The Last Line is the newest brand from L.A. that has everyone on Instagram scrambling to find more parts of their ear to poke holes into. Even though large statement earrings are having a moment, consider adding a couple small statement piercings (your name in gold letters, a pink and blue yin-yang sign, a long rainbow drop earring) for the same effect—it’s guaranteed to have people ask where you got them. The dress of spring is here, and it just launched a couple of days ago. Not much is known (yet) about the very young designer Paris Starn of Paris 99, but if her first foray into design is any indication, she’ll be on everyone’s radar this year.